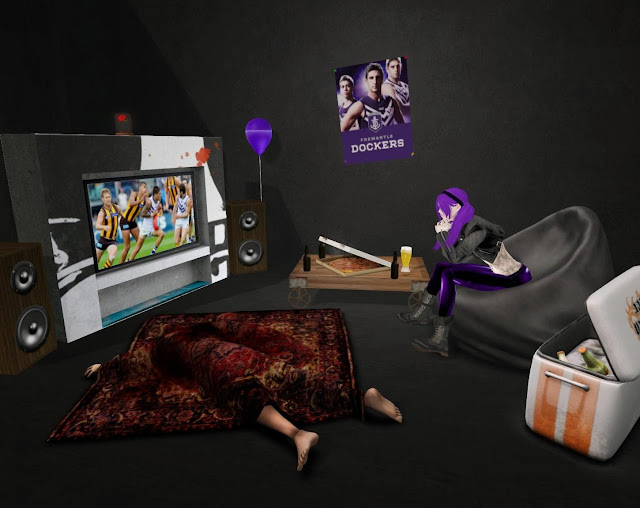 The grand final for Australian rules football was held in Melbourne today between the Fremantle dockers and the Hawthorn hawks. I don't follow either team but was barracking for Freo today because their team colour is purple...love purple! Enjoyed a few icy cold beers while I yelled at the TV for the bad umpiring and missed goals. Freo just couldn't score enough before the final siren. Congrats to the 2013 premiership team, the Hawks!